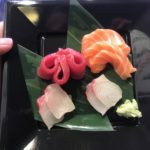 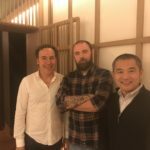 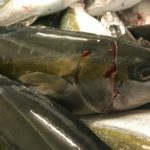 Sashimi Royal, a large-scale, inland aquaculture farming company in Denmark producing Yellowtail / Kingfish / Seriola lalandi has developed their own unique Ikijime slaughtering system in 2018. 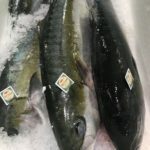 The development has been initiated and supported by the experts, Mr. Soichiro Asaka of Nordic Seafood, introduced the system with Takeshi Yamagishi of Ikijime Quality. 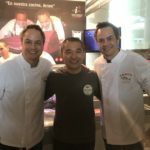 After 6 months of testing and refining, they have perfected their original Ikijime slaughtering system with their uniquely designed Ikijime machine. 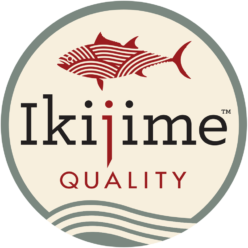 Ikijime Quality / Quality Seafood London Ltd is very happy to be part of this development and will continue supporting their production and the marketing of Ikijime Yellowtail. 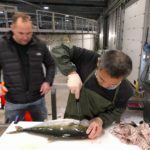 Some demonstration of Ikijime at the yellowtail / kingfish farm in Denmark.